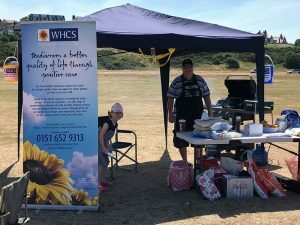 The Wirral Walk took place on Sunday 24th June at 11am. 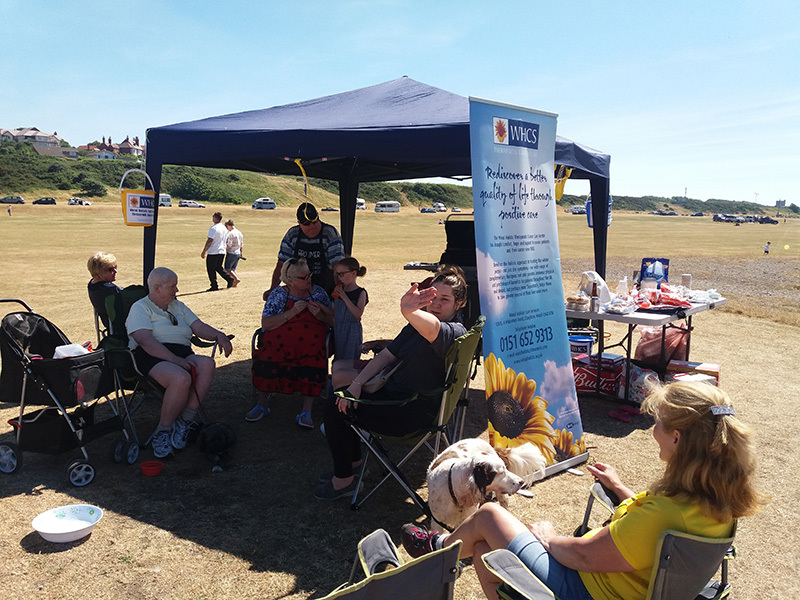 20+ took part in the walk from Seacombe Ferry to New Brighton which included a little mascot, Poppy the dog! 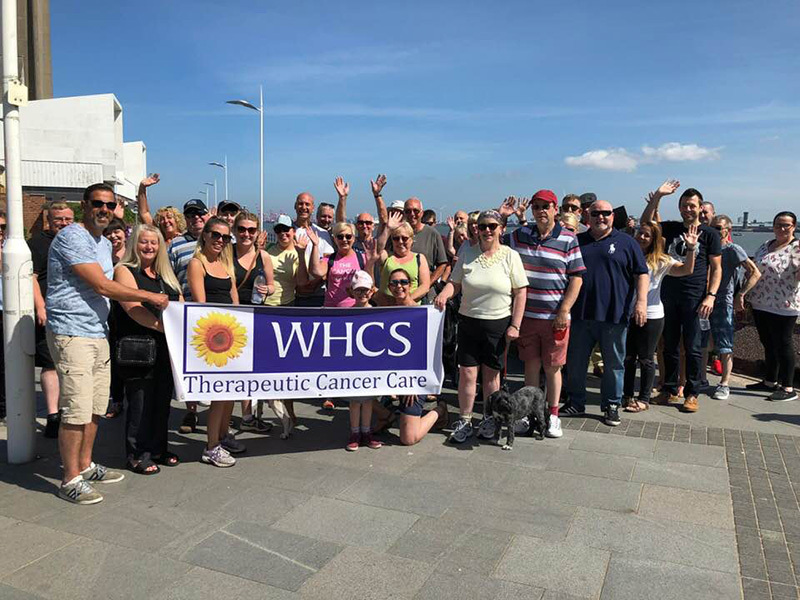 Yvette one of our movers and shakers kindly coerced a Peaky Blinders Tour at Seacombe Ferry to join our photo, all cheering for Wirral Holistic! It was fab! It took us about 2 hours to walk to New Brighton in the blistering heat! 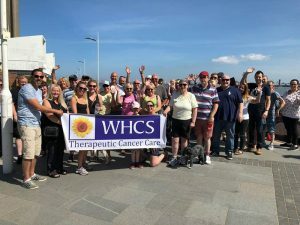 However we were pleased that the sun could join us, couldn’t imagine walking it in the rain! 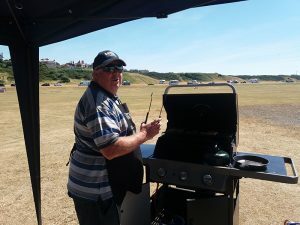 When we finally landed at New Brighton we were met by Yvette and her husband Ian along with a fabulous BBQ at the first dip. 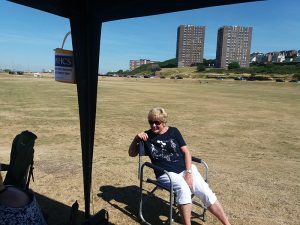 Others joined us for a ‘gathering’ and we all had a lovely afternoon. 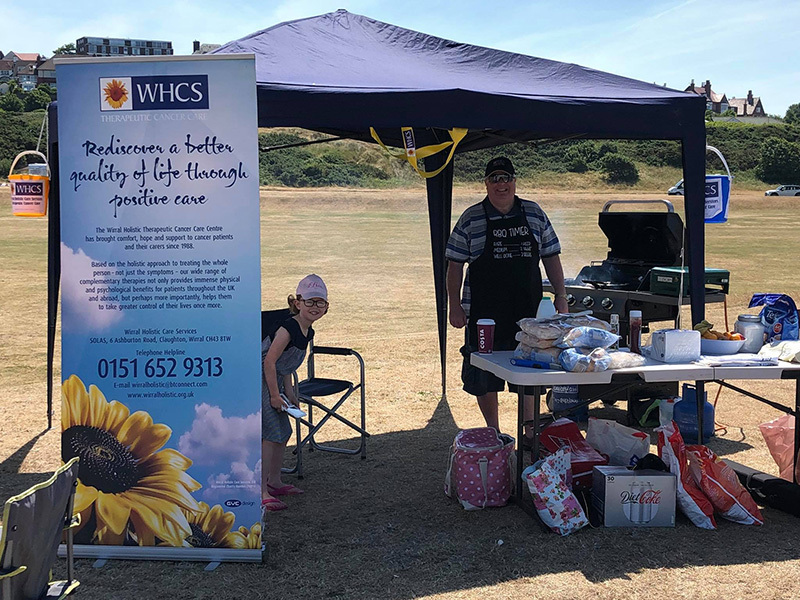 Little Ffion was our youngest walker and was an absolute star! She spent the day collecting shells for everyone. We don’t know the total raised as yet but it is over £200, for the final total please check our Facebook page over the next few days. 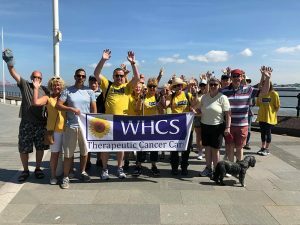 The walk was to raise the profile of WHCS and the services that we offer. We would like to thank everyone who took part in the Wirral Walk and we hope you enjoyed the day just as much as we did!